Disclaimer: I received the product for free and was compensated for my time. All opinions are the honest opinions of my children or myself. We were not required to write a positive review. I have heard way too many times, that I need to learn to use digital products more often. I have been told that it is much easier to use, instead of carrying pen and paper around with you. You don’t have to physically write in digital products, it’s easier to update. The list goes on. 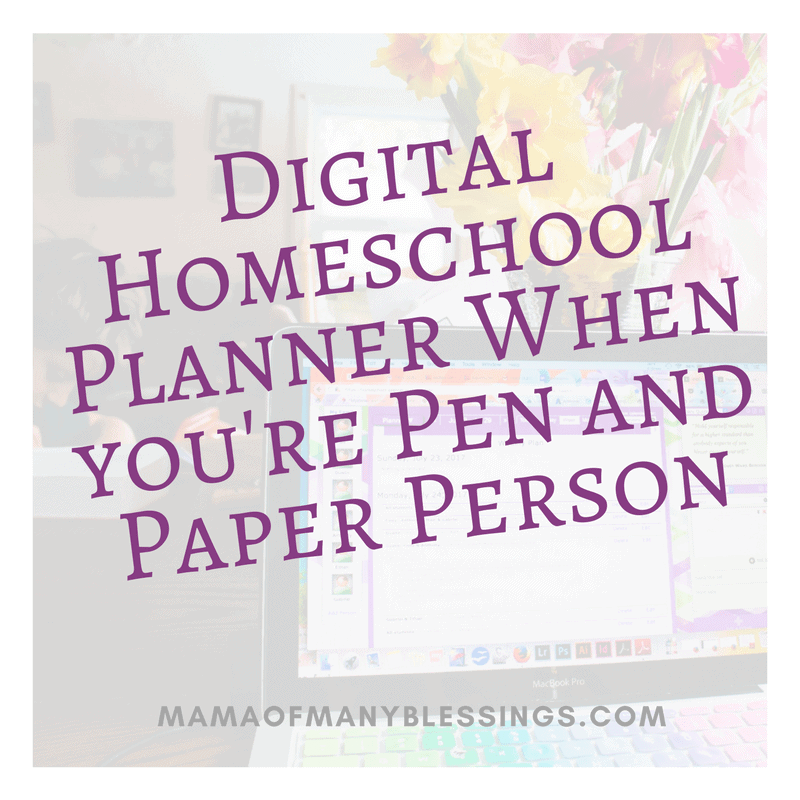 I was excited to give Homeschool Planet from the Homeschool Buyers Co-op a try to see how using a digital homeschool planner would work for me in our homeschool. Something I have learned from years of homeschooling it is that keeping a planner is very important. 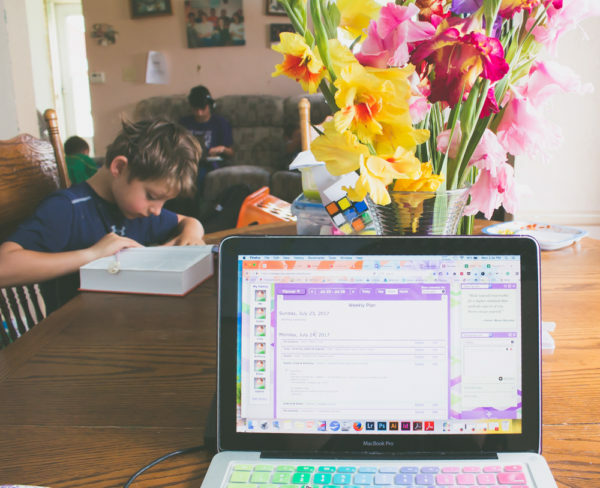 Since I have multiple kids I homeschool, keeping track of what lessons they’re supposed to be working on and when they do it is a constant struggle. This makes my planner a very important resource that is used regularly around here. Last year I was using a pen and paper and writing each child’s schedule out in my household calendar. Each of the kids was also keeping their own schedule in a spiral notebook. They would check off every class each day, and also check in with me on Fridays to make sure they were getting their work done properly (Because you know writing “I don’t know” as an answer just isn’t ok lol). We are a family who lets our children have very limited screen time every day. My high schoolers don’t even have an email address and we have not had cable in over 10 years. I was curious just how giving them a digital planner would work. I knew I didn’t want to allow them more screen time, and they weren’t very well going to choose to look over their homeschool planner during their free time. My solution was a simple one. Plan out their classes on the digital version and print out their schedules weekly!! 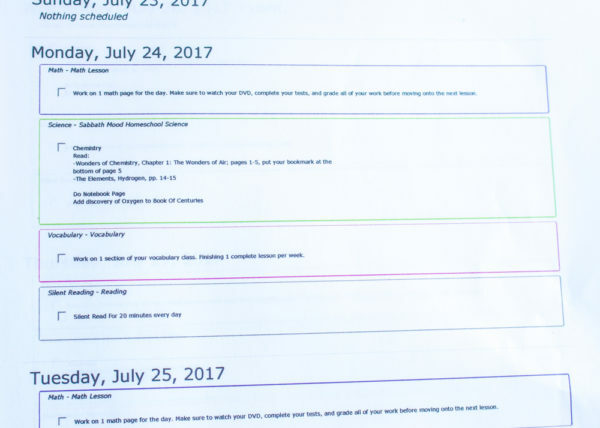 This works out perfect each of their classes is printed out color coded and they have a check box to check off when they are done for the day. All I have to do is print out their schedules at the beginning of each week and give them to the kids to keep in their binders!! 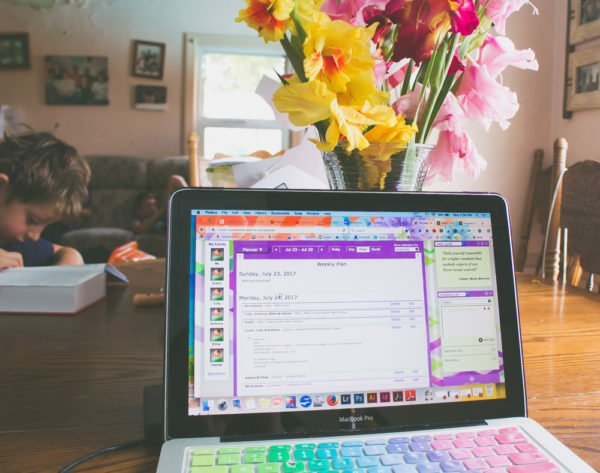 Here are some ways I have saved time and will continue to save time using a digital planner now versus a regular planner. Don’t have to write the same thing over and over. Before I was writing the same thing over and over many times. Especially in group classes. Using the digital planner I type it in click on which children to add it too and that is it. They automatically add it in multiple spots for you. Keep track of attendance. All I have to do is tell the digital planner what days during the week we do school when we are taking off for holidays or trips. The rest is done for me. If we take off for a random day, I click on a spot and they add it to your schedule for you. They then make sure to only add scheduled classes on those days. It was rather inconvenient for us to keep track of attendance in our everyday calendar. Can still print schedules out. Yeah, I know it is the pen and paper person in me. I still want to be able to print my schedule out onto paper. It isn’t just for me. I want my kids to have a physical schedule to go off of, to have boxes to check off when they are done. 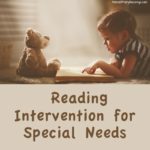 I think that this is important to make sure they are able to get all of their classes done. 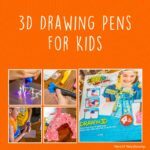 Luckily this is easily done using Homeschool Planet. Make it as detailed as I want. In my paper planner, I only have so much room to write things. 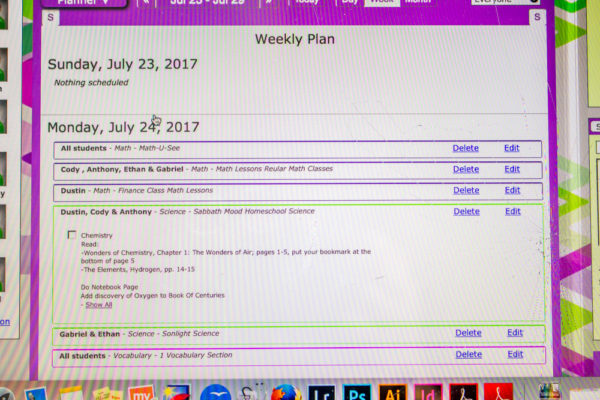 In a digital planner, I have as much room as needed to add the day’s lesson. This means I can add in the “reminders” that the kids might need daily. 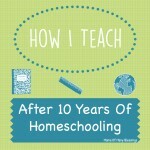 I can say that I wouldn’t have purchased the Homeschool Planet membership from the Homeschool Buyers Co-op on my own. 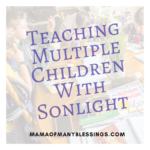 Now that I have tried it though, I have realized just how versatile it is and that it is much easier to use for our family than I would have ever thought. Even those of us who are completely addicted to our pen and paper planners. It even can save me quite a bit of time. Which is something this mama of many is always looking for more of. 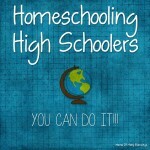 Head over and try out Homeschool Planet for the next 30 days for FREE. It will give you a chance to see if it is something that you will actually use or not. Before you purchase it. 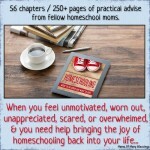 I’m pretty sure you will quickly see what it is great for homeschoolers! 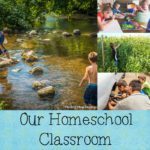 They also have many different curriculum that you can purchase the schedule for on the Homeschool Planet Lesson Plan Marketplace. That means you click and it fills the schedule in for you for the entire year. Can’t get any easier than that!! They are constantly adding more programs schedules to the list, so check back often. 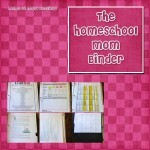 Make sure to head over and follow the Homeschool Buyers Co-op on social media. 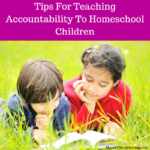 Where you will find other great homeschool tips and ideas. You will also be notified of the great deals that they have! You can find them on. See what I mean, even when you are stuck on a certain way of doing things. Like never wanting to try a digital product because you are a pen and paper person. Trying these things can plesentaly surprise you. 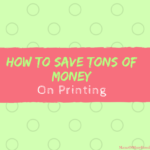 Since trying this digital planner, I realiezed how much extra time I can save, my kids can save. 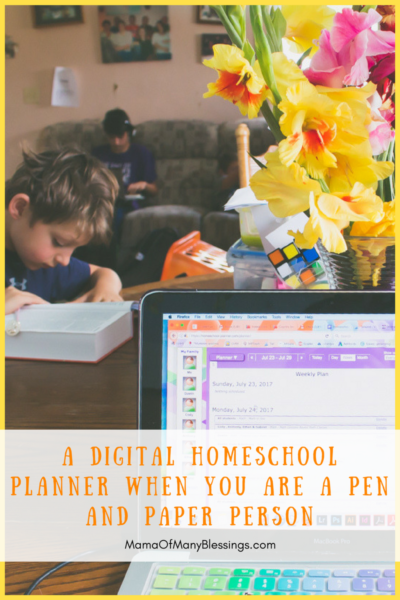 Plus how much easier things are using a digital homeschool planner.